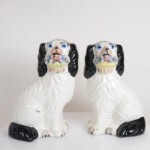 A very rare pair of Disraeli spaniels with blue eyes and baskets in their mouths. 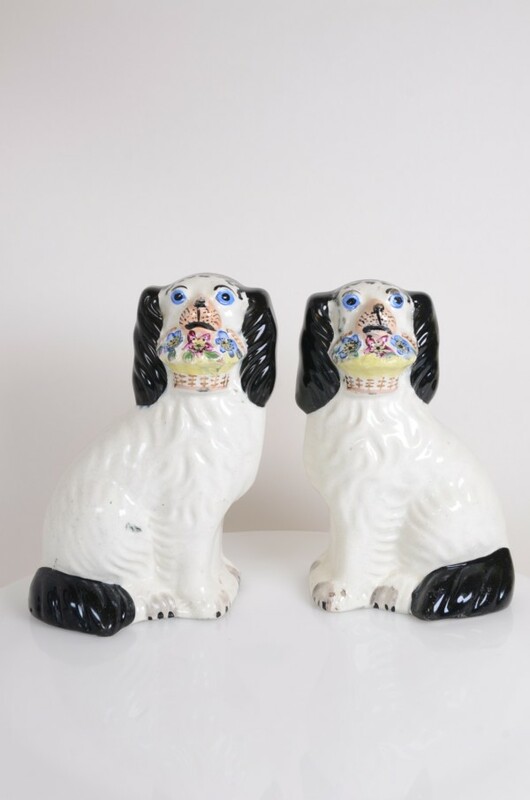 The black colour is under the glaze and as so can not ware. Both are in good condition.